My “office” during the recruiting tweet-along that I followed along with. To cover for some of the platoon on leave I was back in my old zone for the day. On the way there I took a report that a truck was stolen from outside a residence. After some follow up for that I was dispatched to a single vehicle collision. I arrived on scene to find an SUV had lost control, struck 2 parked vehicles and pushed a parked pickup truck up over the curb and into a telephone pole. The SUV ended up embedded in the pickup trucks rear quarter panel and was half off the ground. It was obvious that the driver was not travelling at (or near) the posted speed limit and by his demeanour roadside he didn’t understand the potential risk he put himself or the public in. It was my intention that he understand that risk by the time we parted ways, I believe he did. For the better part of the afternoon I was in a meeting with a Federal Crown prosecutor discussing a court case that I was scheduled to give evidence for this block. I spent some time today organizing exhibits for the court case and preparing by going over the details and my notes. The file originated over a year ago and is just going to court now. Luckily we had enough coverage and I was able to book out for lunch and follow the tweet-along with our recruiting officers that our media officer Cst. Feenan had organized. It was a first for our department as the adoption of social media is fairly recent. The photo I’ve attached this block is of my “office” during the tweet-along. I’m optimistic that the adoption of social media and the potential for increased dialogue with the public will be a success. It doesn’t come without challenges though. As an example, this blog can be challenging at times to provide you, the reader, with enough detail to be interesting but not jeopardize anyone’s privacy or offend anyone. There are community members and even some co-workers that don’t understand or believe in the benefits of social media. It was a long day today. I started by arriving at court at 9:00am for the trial. I was on the stand giving evidence all morning. I had lunch with a co-worker who was set to take the stand in the afternoon and then ran home to rest before starting night shift. I started the night with a few routine calls from an abandoned 911 call, assist EHS with a distraught woman and a shoplifter in custody with a loss prevention officer. One of our traffic officers stopped a vehicle with multiple occupants, one had a warrant. Our traffic cars don’t have cage’s to transport prisoners so I offered to help. I transported the person arrested to meet with Vancouver Police who held the warrant for him and turned him over to them. Once back in Delta I started making some traffic stops myself. While driving down the road I was passed by a car going the opposite direction who swerved into the lane where I had just been and proceeded up the road in the oncoming lanes. Fortunately for everyone there was no traffic on the road. I got turned around, stopped him in a parking lot and he ended up being impaired and had no valid driver’s license. The other 3 occupants were also intoxicated, with the driver swerving into oncoming traffic it was a recipe for disaster. Fortunately they were all able to take a taxi home while I dealt with the driver. I spent the rest of the evening taking a couple routine calls and completing the report for the impaired driver. With court in the morning and a full night shift, it was a long day. Tonight ended up with all ends of the impaired driving spectrum for me. I had a traffic stop yield another impaired driver that was charged and taken off the road. The driver was prohibited from driving for 90 days and his vehicle impounded for 30 days. I came across a vehicle with 5 occupants, all were very intoxicated except the driver. However it turned out that the driver had been previously charged criminally and ended up with a curfew. The driver was out past his curfew and arrest-able. I separated the occupants, all the stories added up and the driver was convinced by his friends to stay out longer than his curfew because they were all having a good time and he was the designated driver. Instead of arresting the driver, I explained to his drunk friends how they put him in a very bad position. With all the impaired drivers I’ve seen lately, I wasn’t going to arrest someone for being past their curfew who was actually being a responsible designated driver. My last call of the night was one we all dread. I can’t write much about it as it’s still an active investigation. I attended an impaired motor vehicle collision, ended up in the back of an ambulance helping an advanced life support (ALS) crew with a patient as the paramedic drove code 3 (lights and sirens) to the trauma bay at a hospital in Vancouver. I stood by as family arrived and stood beside their loved one in the trauma bay hoping against the odds. Perhaps if some people saw what I had to see and do tonight they wouldn't choose to drink & drive. Not worth the broken hearts. Since this blog has started I’ve had two pieces of feedback that seem very relevant. One pointed out that impaired driving is a choice. The other pointed out that the judgement for that choice is obviously already impaired. It’s not enough for us to remind people not to drink and drive, we need to actively stop our friends and loved ones from making that decision with impaired judgement. I’m on course next block. I’ll likely have an update for the blog though. It seems timely, I’m going on a BAC Technician course to be qualified to operate the instrument we use to take evidentiary breath samples in criminal impaired driving cases. 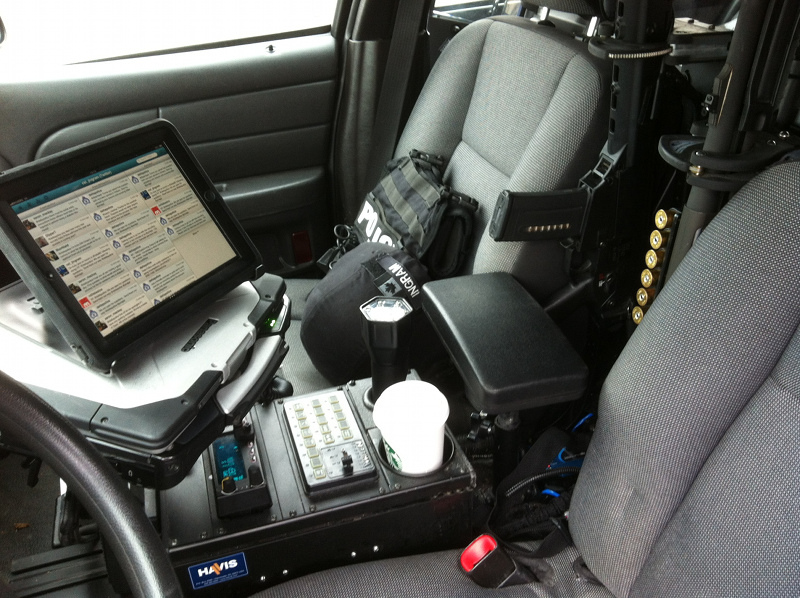 We only have a handful of officers qualified to do this, so during criminal cases, it takes another officer off the road to operate the instrument. I’ve known many people who have had their hearts broken by the tragedy of drinking and driving, but none more so than some friends of mine when I was 14.. their mother was killed by a drunk driver on christmas day when they went for a walk… it’s stopped me from ever drinking and driving, because the impact of a tragedy like that harms a whole community of people. I wish that people didn’t look at limits, and just looked at it like, if you drink, don’t drive. The cab ride surely has to be cheaper than the guilt. Thank you Jim… for keeping a part of the world a little bit safer. Thank you for sharing. Every tragedy has a story, while it can be difficult I think we can all learn from them when they’re shared. Unfortunately with drinking judgement becomes impaired and sometimes people overlook the consequences and make the wrong choice. Sadly, it’s probably impossible to continue writing this blog and never offend anyone. There’s always somebody out there ready to jump on the smallest issue, or twist an innocent statement into something bad just because they hate the police. …It’s also possible that you might inadvertently say something that actually IS offensive… just because you’re a human being and we humans are fallible creatures with faults and biases. Nevertheless, if and when this (i.e. someone taking offense over something on your blog) does happen, I hope you’ll keep posting in the face of adversity. We (the public) need to hear and try to understand the perspective of the LEO community. We need to see you’re human too, and we need to learn from your example of fighting for what’s right… not just when you’re on the clock and on the streets, but here on the ‘net too. You’re absolutely correct in that we’ll never be able to please everyone. My goal will always be to ensure that I’m fair and that the public interest is served. I’ll continue writing as long as I’m in a position that I’m able to and the community is engaged. I’m one of thousands of police officers that do the same thing every day, go to work and honestly try to do good for our communities. I’m lucky in that I have the support of our management team to write about it and engage the community. My hope is that I can present what we’re trying to do and be able to explain how we make some of the decisions and why we do some things. We’re not only human, we’re also part of the community.